Looking for Stud welding equipment? 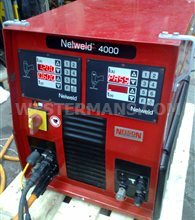 Nelson Stud welders both used and refurbished in stock for sale. Nelson Stud company was founded over 65 years ago making it a great choice if you are looking for a machine for stud fasteners. If you are selling a Nelson Stud welder, please contact us or complete the form. Nelson Stud Welding, founded more than 65 years ago, is one of the leading global manufacturer and distributor of weld stud fasteners and application equipment serving a broad range of markets on a worldwide basis including the Automotive, Construction and Industrial markets. Stud welding products are suitable for the fastening needs of virtually every industry and the Nelson Stud welding products include externally threaded fasteners, shear connectors, concrete anchors, punching resistor studs, inserts, ports, pipe and cable hangers, weld studs and bosses, and the equipment used to apply, assemble and weld these items. Over the years they have designed, engineering and manufactured to perfection the durability of the fastener products for use in high-stress environments from applications such as off-road construction equipment, large expansion bridges and skyscrapers to high performance cars, nuclear power plants and equipment used in high-temperature environments. The products of many leading equipment and automotive manufacturers such as Caterpillar, Bearcat, BMW, Volkswagen, Audi, General Motors, and many more! Nelson Stud Welding pioneered the use of stud welded shear connector studs, headed concrete and deformed bar anchors and punching shear resistor studs; all ideal for use in high-stress concrete applications. Moreover, they perfected the use of abrasion-resistant weld studs to offer equipment OEMs and their end users the greatest wear protection and longest life for their construction equipment. Nelson offers stud welded fasteners in nearly every shape, size or configuration. Whether you need an off-the-shelf standard fastener or a custom-designed fastener, we can supply it and/or ship it within your time parameters. Manufacturing a virtually limitless variety of specialised and standardised fasteners including threaded and non-threaded studs, collar studs, deformed bar anchors, headed concrete anchors, t-studs, lagging studs, shear connectors, insulation pins, wide flange studs and a full complement of specialised fasteners. Whether you need a fastener made of stainless steel, mild steels or aluminum - there is no problem because we are able to supply all products associated with both common and exotic metals. Nelson offers a complete line of portable and feed stud welding systems to meet even the most demanding of stud welding performance requirements. They can also make custom designed products for a variety of end use applications including fixed manual and automatic feed systems for high production environments. A patented drawn arc tack and tarc welding system for use in high volume robotic welding applications has been developed. The full range of systems includes portable equipment for electric arc capacitor discharge and gas arc or short-cycle stud welding processes. The Nelson Series 4000-6500, arc-lite series and CD Lite models offer feature rich equipment yet provides portability and functionality in a compact space. They now sell an intelligent drawn arc welding system using microprocessor based technology that has proven to be more reliable the repeatable than conventional solid state systems. The Nelweld system can be custom-designed with add-on components and software. Although feature-rich, the simplicity of our Stud welders design requires minimal operator training and interface to programme and manage your stud welding processes effectively. Using easy-to-read push buttons, operators can customise Nelweld stud welders to monitor up to 30 different parameters and can preset up to six different welding application conditions. Over recent years there has been a significant shift towards the use of aluminum in ship design. Not only are aluminum ships lighter than their traditionally-manufactured counterparts, but they're also faster and more fuel efficient, making the attraction easy to understand. However, aluminum is conventionally more difficult to weld than traditional ship-building materials, requiring a different welding process and higher levels of training to deliver consistent results. This adds delays and cost to the process, both for new-build ships and maintenance work. Working with shipyards to develop a stud welder for use on a yard's unique aluminum hulls, Nelson Stud Welding’s result was a portable stud welder capable of welding ½ threaded studs, which can be carried right into the bowels of a ship. The system allows workers to weld downhand, vertically or overhead, meaning it can be used anywhere on the vessel, while welding thicker materials is also not a problem. While it took some time to develop, this new aluminum stud welder offers considerable benefits for the ship-building trade. Where traditional processes only weld two or three studs per minute, their new aluminum stud welding system can shoot studs easily twice as fast, significantly improving productivity. The quality of the fastening process itself is also improved as no holes are required, meaning the fabrication is structurally more rigid and leak proof, reducing incidences of corrosion. Finally, the system requires less training to operate than traditional aluminum welding techniques, meaning apprentices can start working on ships after just two or three hours training. This user-friendly feature offers considerable time and resource savings for both yard owners and their customers. Since developing the first aluminum stud welder, the team at Nelson Stud Welding has also been working closely with other customers to adapt the technology to meet their own welding needs. A second system is now being used at Ingalls shipyard, while the team is also looking at ways to develop the technology to support larger and different types of studs. Product development is an ongoing process but, by working closely with two of their key customers, they have been able to develop an exciting new system that will revolutionise the way their customers work with aluminum in the future. Do you have a Nelson Stud welder for Sale? We will buy it from you for a very good price.